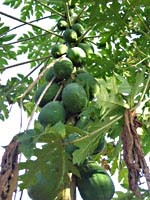 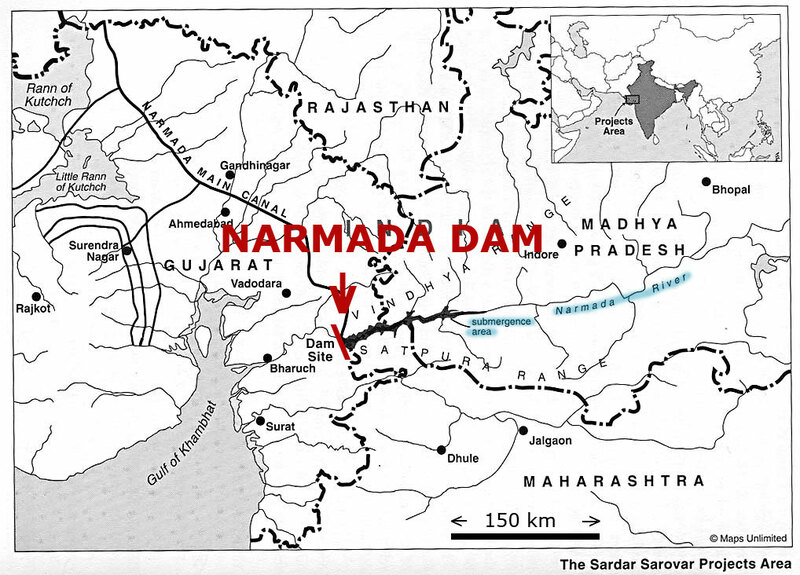 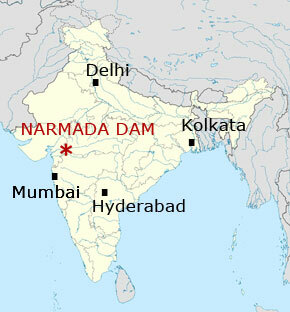 When the Narmada dam was build the dam was closed several times at a higher level. 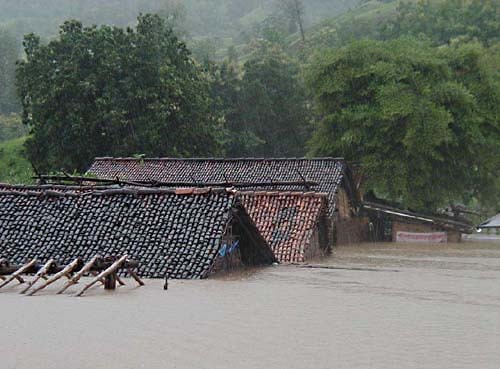 Every time a bigger part of the valley was flooded by the monsoon waters of the river. 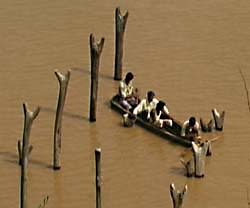 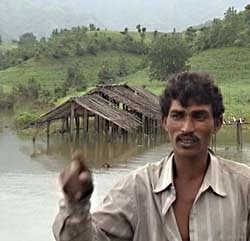 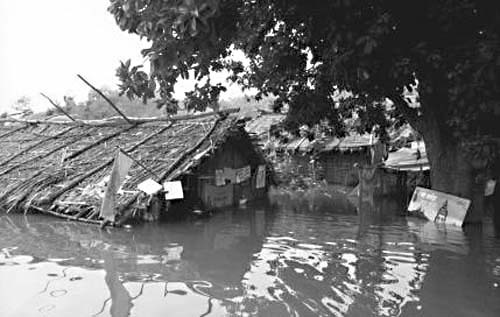 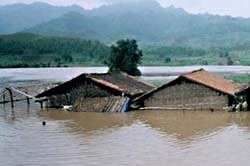 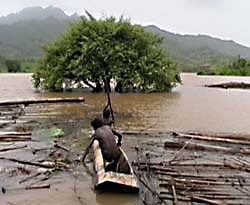 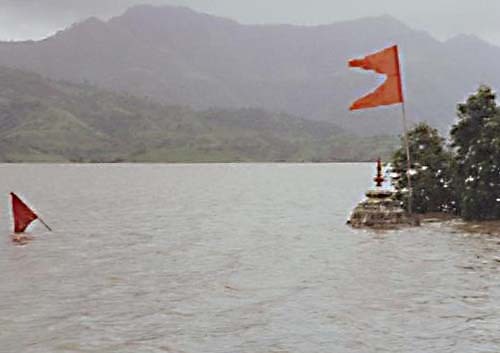 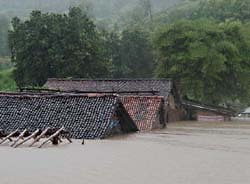 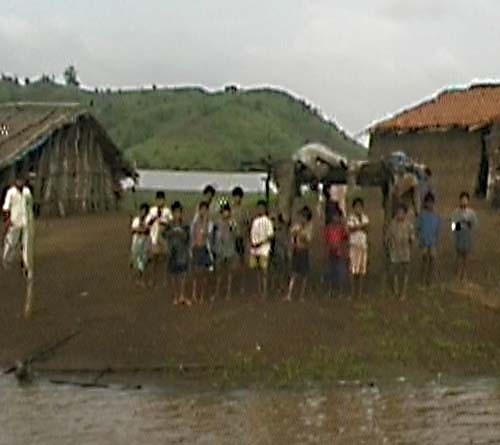 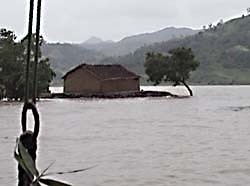 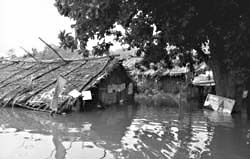 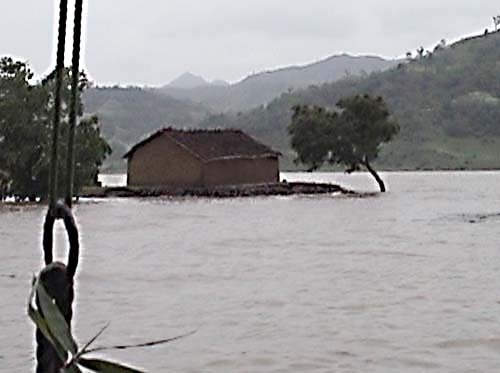 September 1999 the village Domkhedi in the West Indian State Maharashtra was submerged. 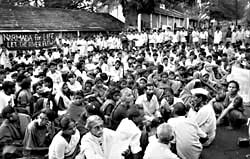 Satyagrahis (Gandhian style non-violent activists) from the village, the region and from outside had vowed not to leave the houses when the water came up. 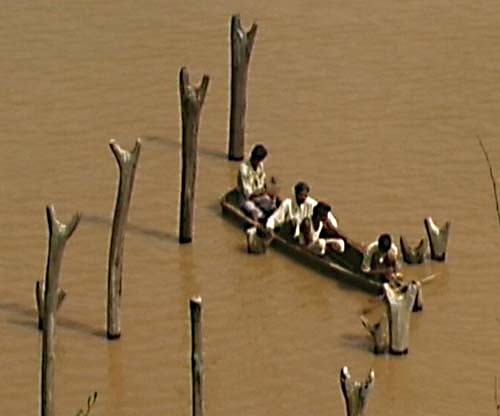 They preferred to be drowned. 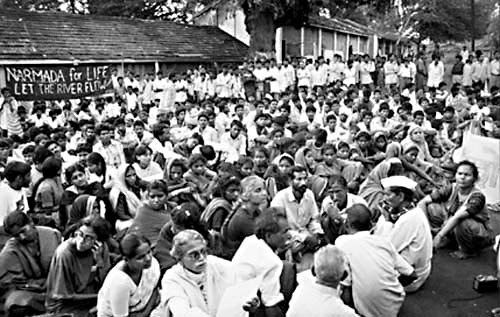 In the end the police finished this non-violent protest action. 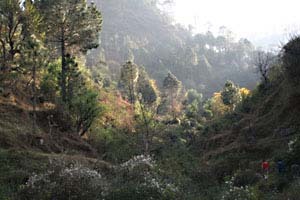 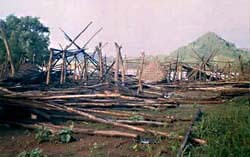 The hut of the satyagrahis in Domkhedi. 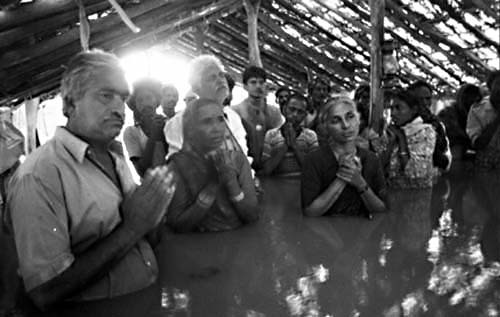 Satyagrahis staying in the rising waters. 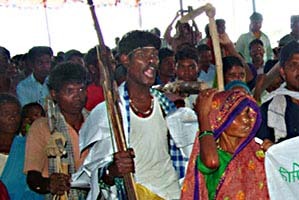 The police arrested the satyagrahis. 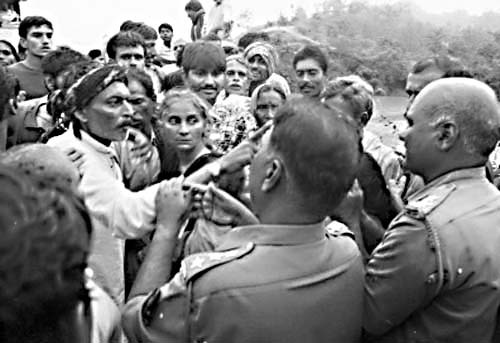 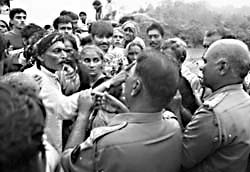 An angry activist Jagdishbhai tells policemen to behave themselves well. 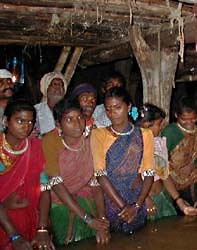 Some of them were drunk. Again satyagrahis decided not to leave, when the water rised. 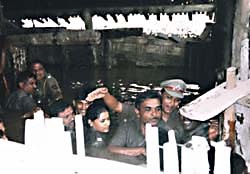 Again police officers arrested activists. Debris of adivasi houses destroyed by police in village Chimalkhedi, before the submergence.. 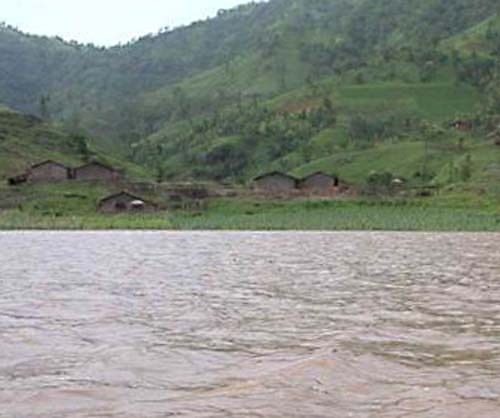 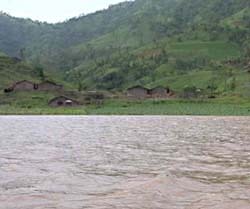 Wooden pillars of a submerged house in the same village.